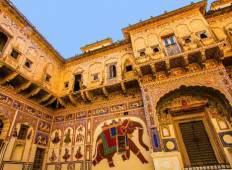 Find the right tour for you through Mandawa. We've got 81 tours going to Mandawa, starting from just 6 days in length, and the longest tour is 33 days. The most popular month to go is September, which has the most number of tour departures. "We had a great time on this trip. It was well worth our time and money. 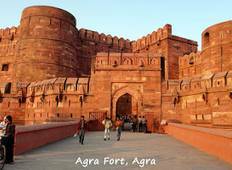 Our driver..."
"Me and my wife decided to visit the magnificent Rajasthan within 10 day. GeTsHolidays..."
"All went well with the Tour and we had an excellent, experienced driver and local..."
"On behalf of my wife too we would like to confirm that we definitely enjoyed our..."
"We booked this tour with K K Holidays . The trip was very well organised . Driver..."
"We are an Export House and all our International travel is with Get's Holidays since..."
"Everything was perfect! We did not have any single problem and we loved every single..."